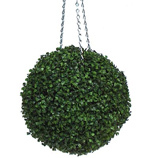 Our exciting latest designs are available to order now in readiness for the spring and summer hanging basket seasons. Our plant farm is well stocked with fresh plants for you and we have new introductions arriving every week ready for despatch from mid to late March until early September. If you place an order over the winter period this will be despatched in early spring. Our extensive range of nursery fresh plants are sure to give superb results. All produced with care using our modern growing facilities we are able to offer a range of plants which will provide you with year round interest for your hanging baskets, patio containers and garden borders. We offer all our products for you to view in the comfort of your own home and delivery is direct to your door. FREE DELIVERY IN 2019. Quantity: 6 x Climbing Plants in 15 cm Pots. Container grown Garden Ready Climbing Plants , so your plant can be planted at any time of the year. We use 'Exemptor' to ensure your root systems are strong and will establish well. 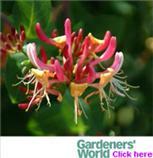 Name: Evergreen Climbing Plants - Honeysuckles X 2 Offer- Evergreen Foliage & Scented Flowering Honeysuckles. MASSES OF HIGHLY SCENTED FLOWERS WITH RICH DARK EVERGREEN LEAVES! Quantity: 2 x Honeysuckles - 1 x Lonicera japonica 'Halliana' and 1 x Lonicera japonica 'Darts World' in 9cm Pots. 1 x Lonicera 'Darts World' Evergreen Honeysuckle in 9cm Pot. These container grown evergreen climbing plants will reward you year after year. Name: PASSION IN THREE SHADES - Our NEW stunning 3 plant collection. These Hardy Perennial Climbers have been container grown so can be planted at any time of the year. Quantity: 1 X Passiflora 'Amethyst'. 1 X Passiflora 'White Lightning'. 1X Passiflora 'Purple Rain'. All in 9cm pots. Container grown Garden Ready Plant. Plants supplied pruned and shooting well, ready for planting. Quantity: 5 X Tumbelina Trailing Petunia Joanna. Premium Quality Professionally Produced Young Plug Plants.All orders are carefully packed and shipped in our specially designed packaging.